As with jio 4G we all 4g smartphones user need volte (voice over LTE) to directly use jio call services without the need to use jio 4g voice app which helps to make a call through non volte devices. I personally use Asus zenfone max Z010D which is capable of volte ....but when we consumer reported to asus coustomer care they said that due to some hardware limitations they cant give volte update to asus zenfone max users, but the chipset in our phone i.e. 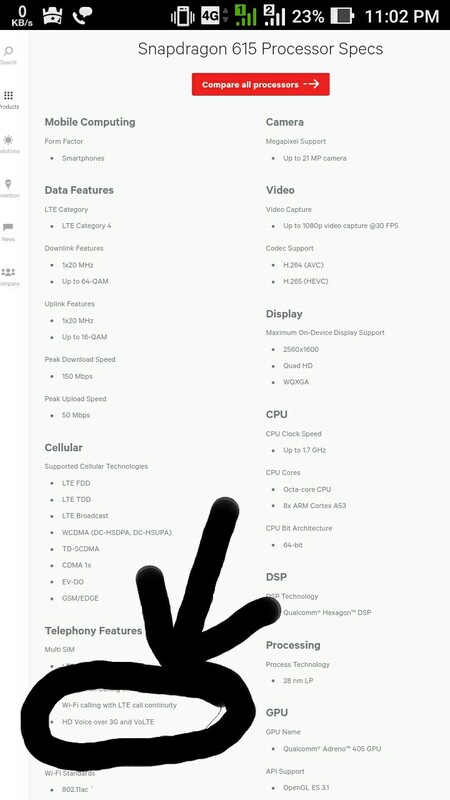 Qualcomm snapdragon 615/410 supports volte and it is certified by Qualcomm that this chipset supports volte but asus is making excuses that this device cannot support volte. So i request your team on the behalf of all Asus zenfone max users to take a strict action on asus for making consumers fool. I have added some proofs which include 1. Qualcomm Snapdragon 615 supports volte. 2. Voice of asus Customer care. 3. 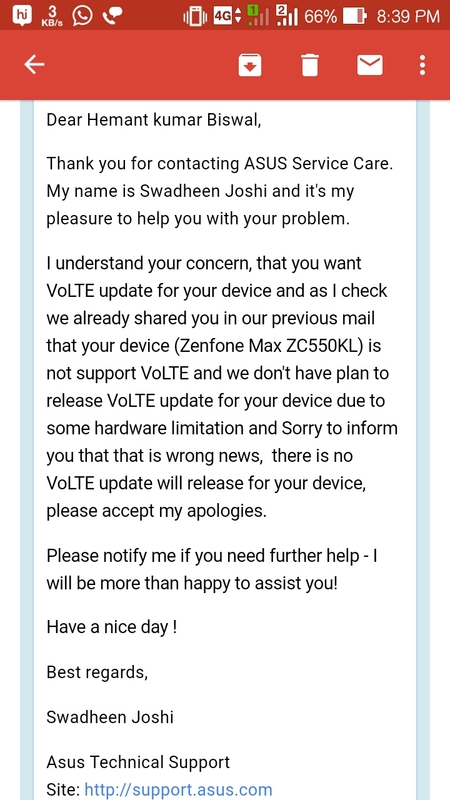 The mail sent by asus that asus zenfone doesnt support volte.